Jessica Woodward is passionate about helping people achieve better health – naturally. She uses her qualifications, experience and knowledge to customise every course of treatment for each of her clients, so they have long lasting results and enjoy better health as a result. 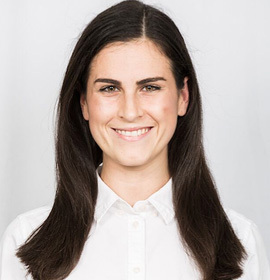 Jessica is an Accredited Exercise Physiologist, Clinical Pilates Instructor and a Bowen Therapist, but Jessica simply calls herself a Movement Technician because she helps her clients to improve their movement. Jessica knows the importance of a calm and supportive environment for her clients. To this end, she has designed her accessible treatment room and studio to be light and inviting. The versatile equipment is made from warm wood with finishes that are both aesthetically pleasing and supremely comfortable to use. Outside of her practice, Jessica enjoys Latin dancing, Boxing and Hiking. “Dance provides me with an opportunity to truly express myself through movement as well as challenge and coordinate both mind and body through learnt choreography. I love boxing as a release and because it requires tactic and an ability to execute movements with precise technique. Hiking enables me to appreciate the natural world we exist in and is a constant test of my endurance and mental strength to literally and metaphorically put one foot in front of the other when the top of that hill is not yet in sight! Jessica sees a direct link from the precision, technique and endurance she experiences with her activities to how she works with her clients. Precise techniques are required for her hands-on Bowen treatments or delivering tailored exercises. And endurance comes into play when Jessica works with her clients to create goals and treatment plan sessions that are sustainable for the long term. ​Jessica is also a member of the Bowen Association of Australia (BAA) and Exercise and Sports Science Australia (ESSA).